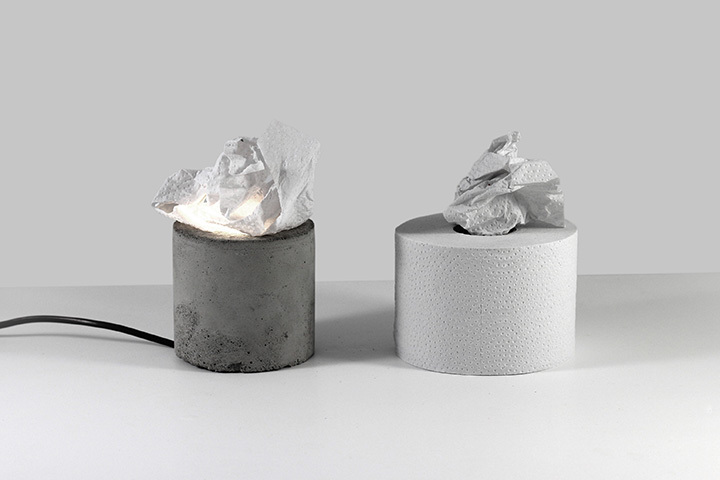 A nigh lamp which constitutes the essence of the Poor Design idea. 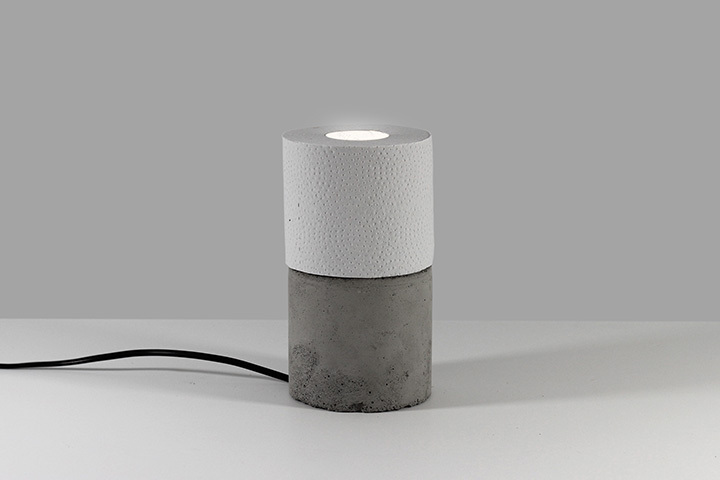 A cover with a light bulb is hidden inside a concrete cylinder. 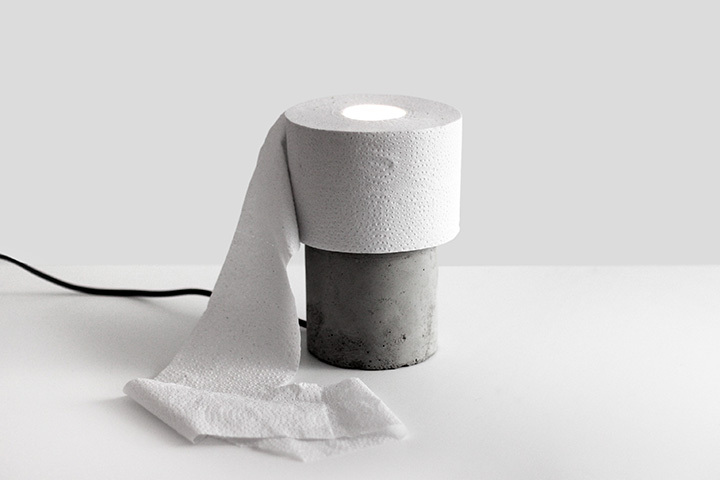 The shade consists in a piece of folded toilet paper. Although an entire roll may also serve the role. As a result we get an extremely minimalistic every-day object.